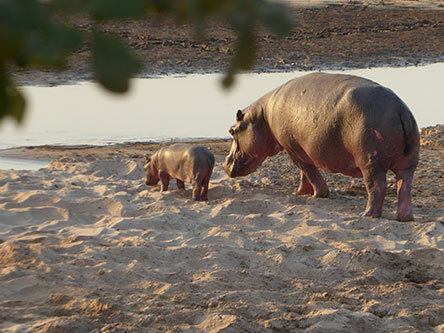 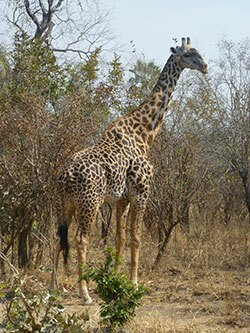 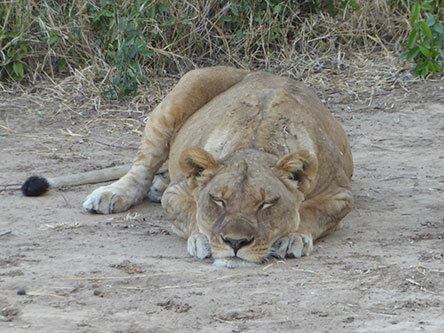 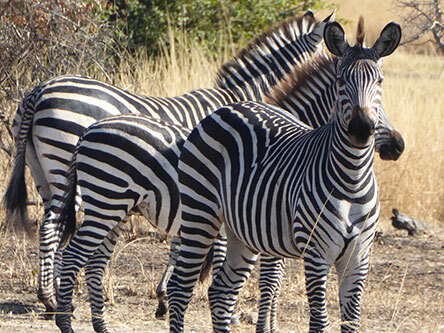 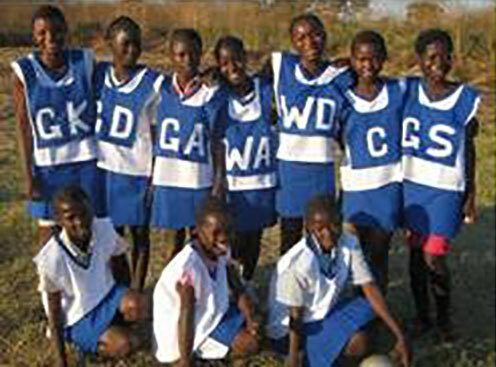 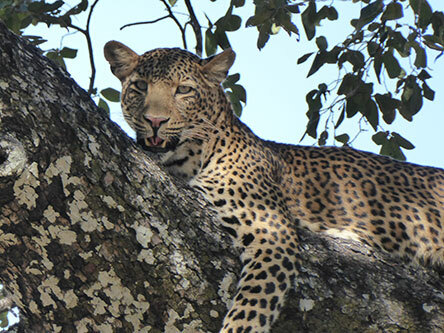 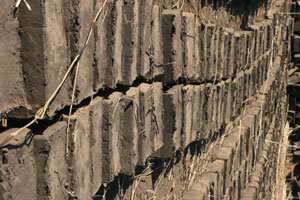 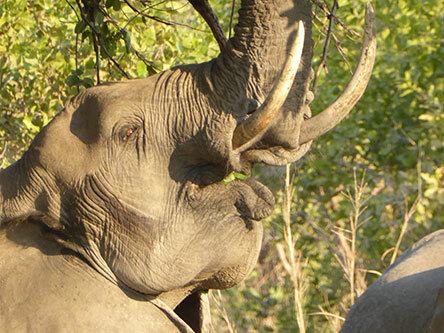 Malimba is a rural village within the Mfuwe area on the edge of South Luangwa National Park in Eastern Zambia. 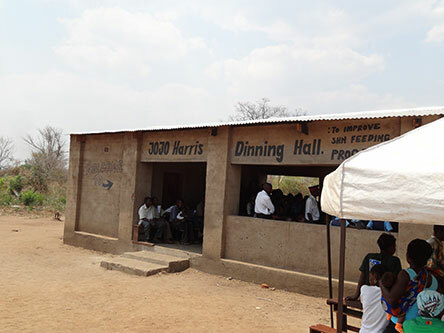 There were, until recently, no schools in this area and children were having to walk up to 6km a day to attend classes – and often there were no places available for them. 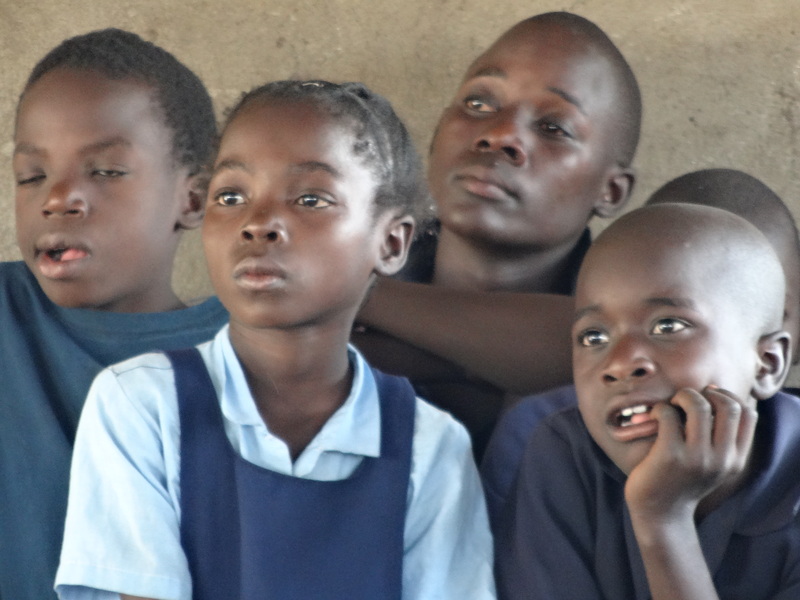 The first step for offering a better life for the next generation is the opportunity of a good education. 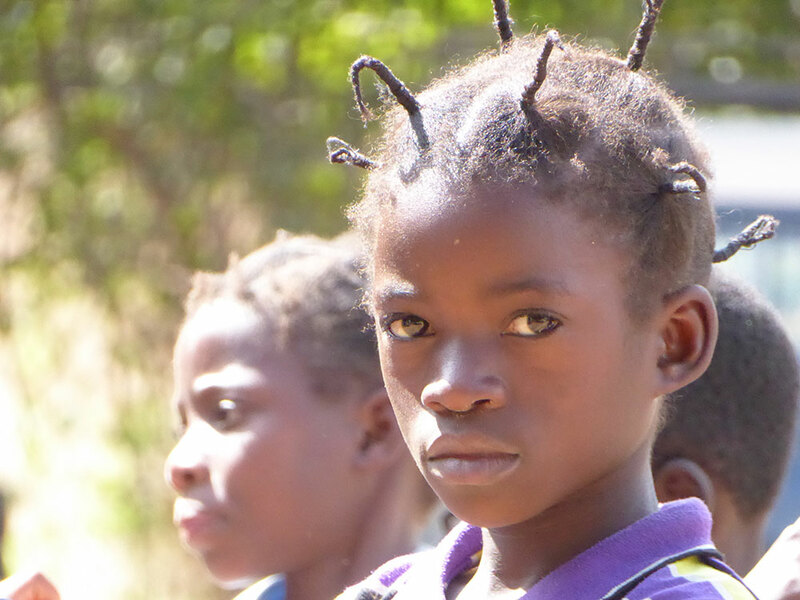 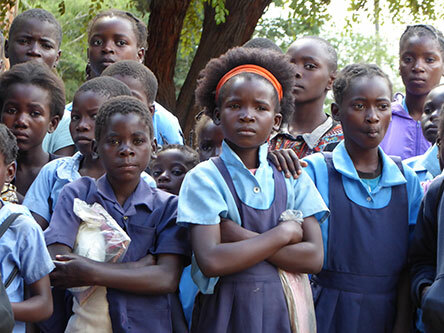 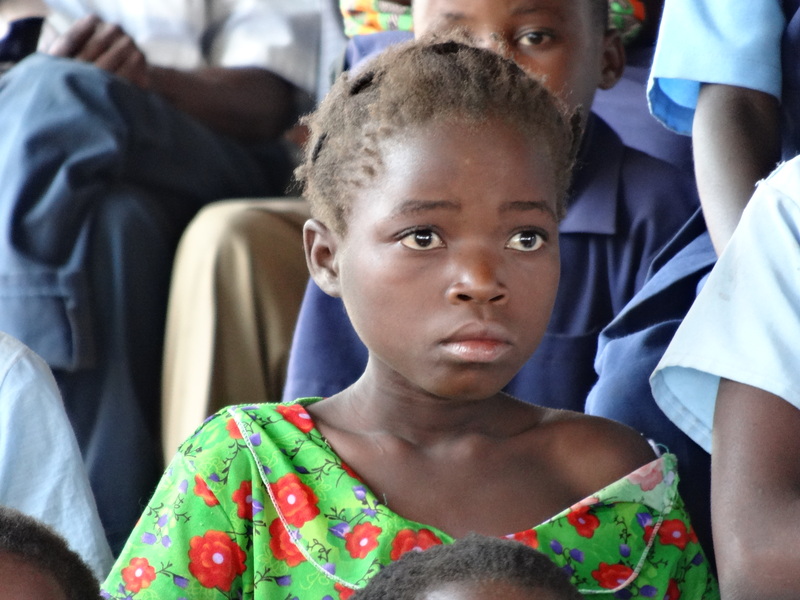 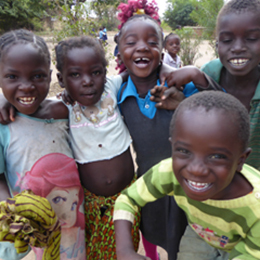 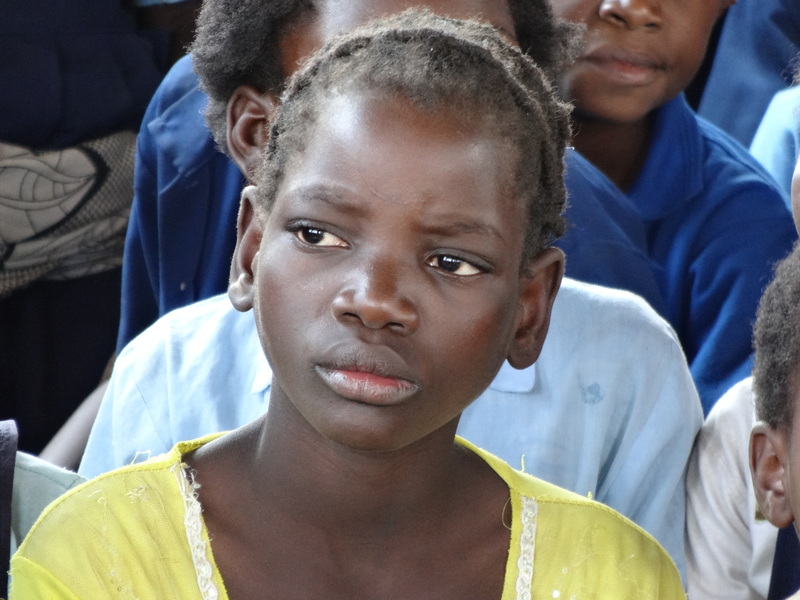 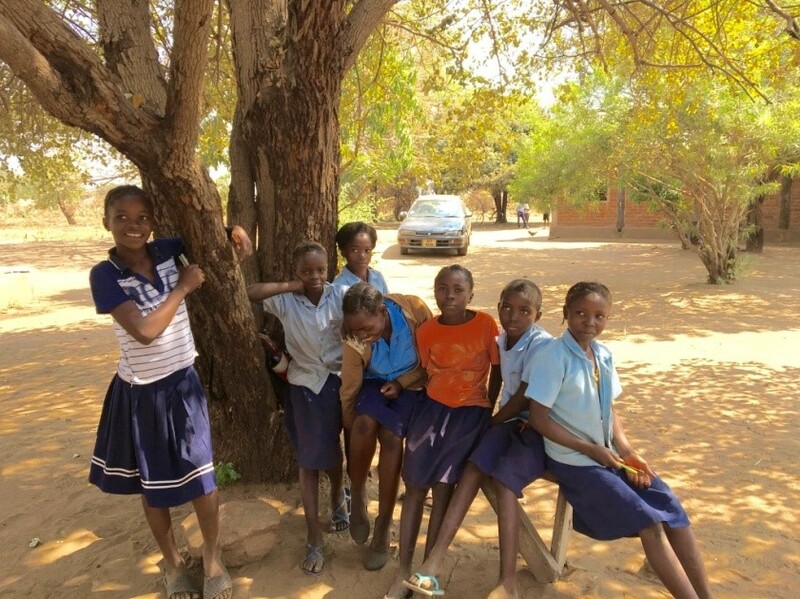 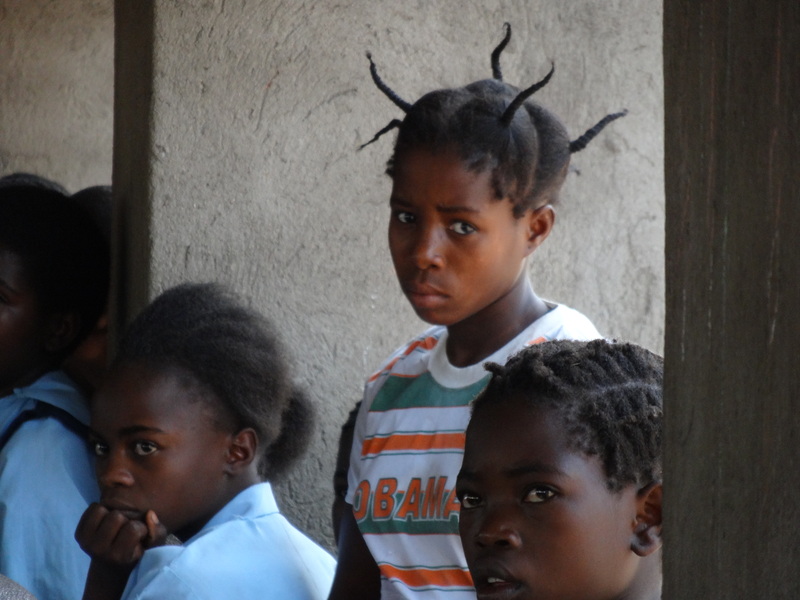 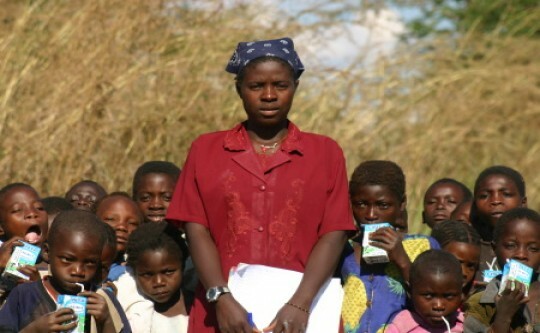 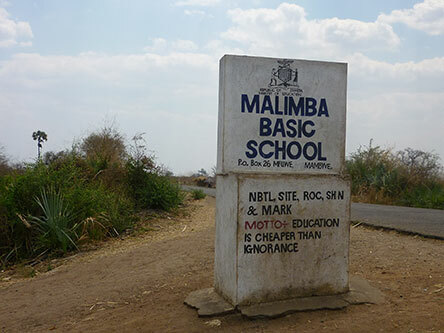 The Malimba community rely mostly on subsistence farming and many families simply do not have the resources to formally educate their children. 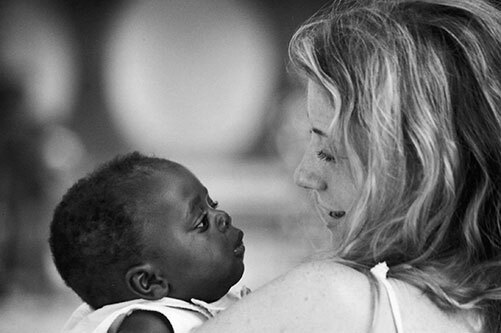 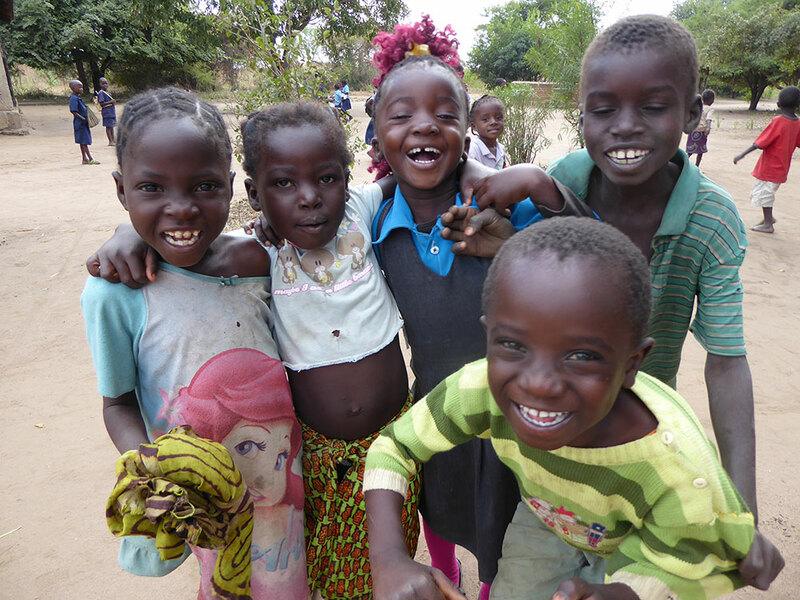 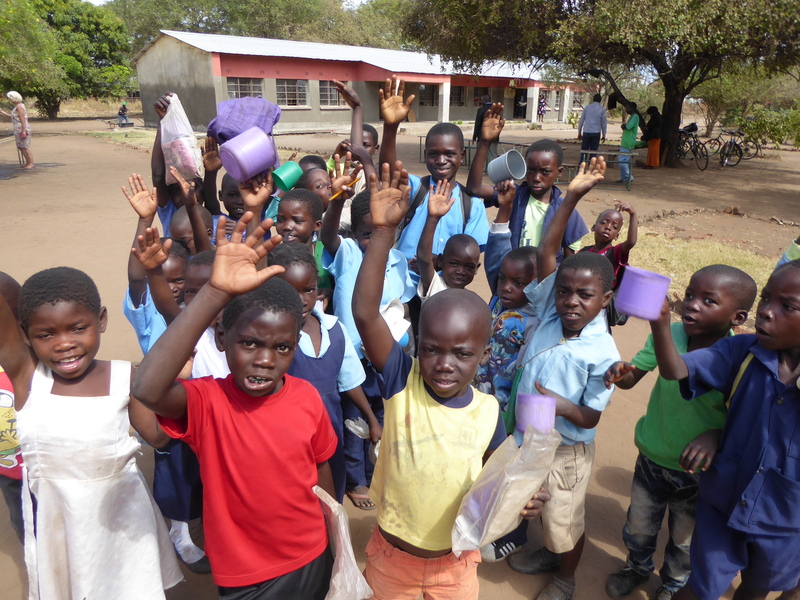 The voluntary efforts of Malimba residents together with assistance from their supporters is helping to give children access to that vital first step. 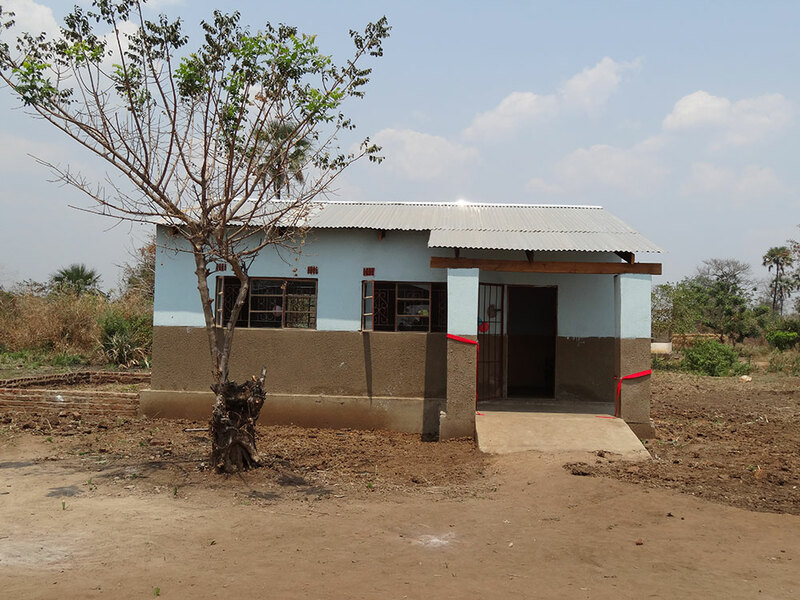 In mid 2001 the community decided to start a school and with no outside assistance or funds they built a mud and thatch classroom and the school was opened! 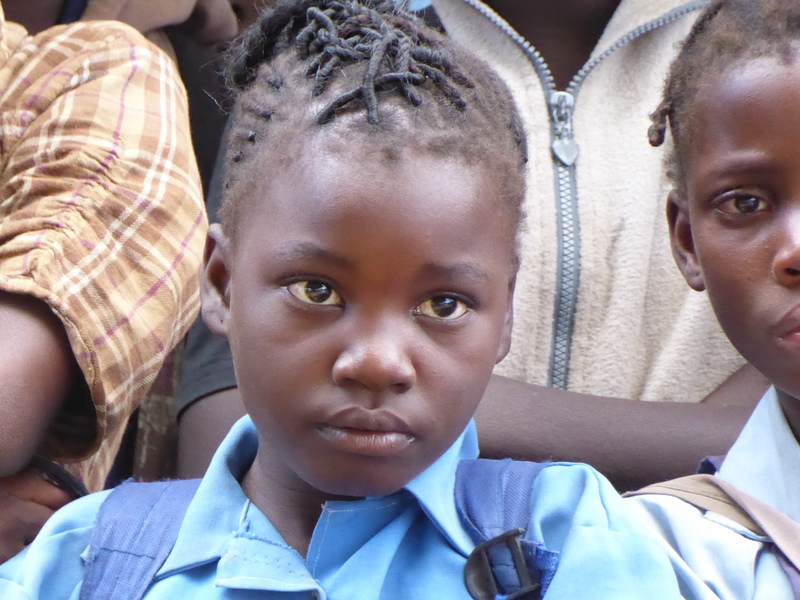 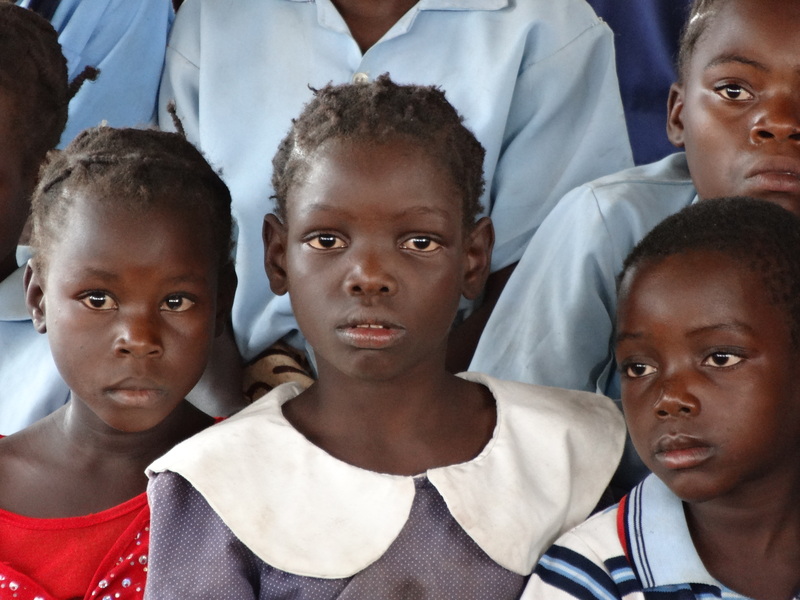 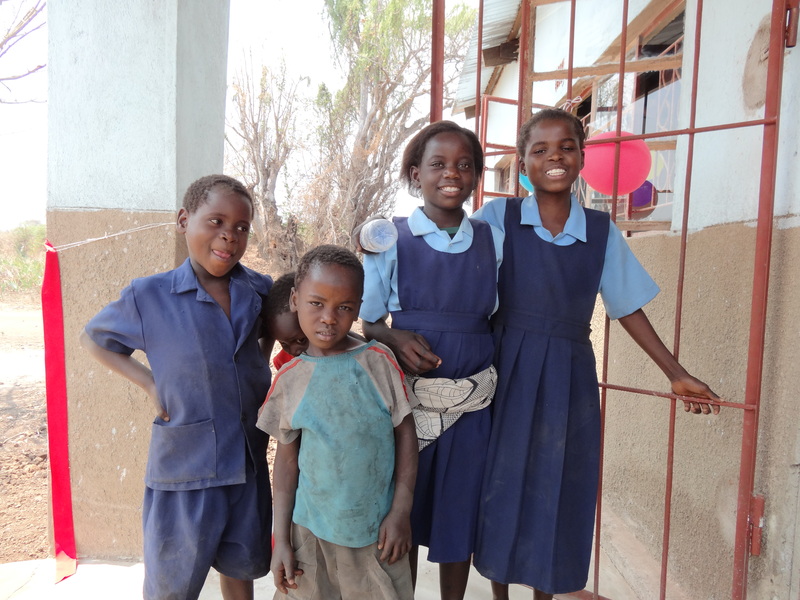 For many children this was the first time they had the opportunity to attend classes and learn their ‘A,B,Cs’. 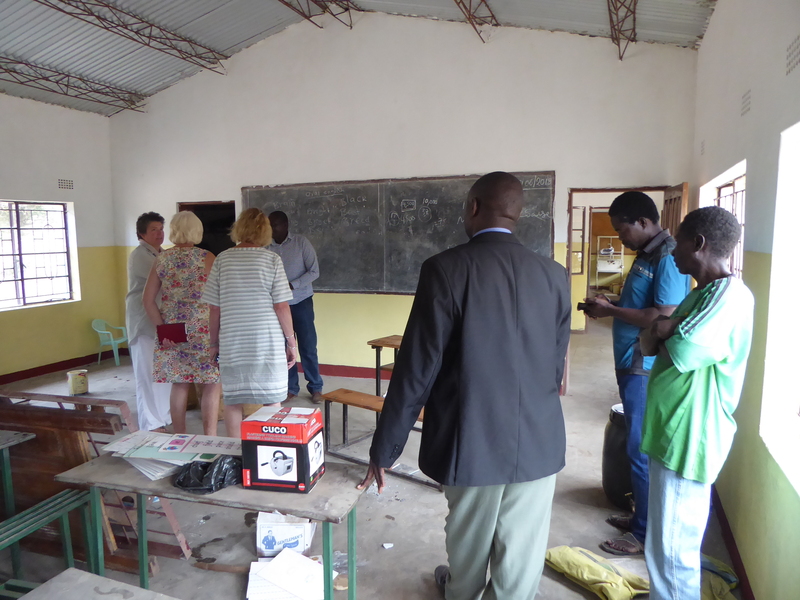 The teachers were dedicated volunteers but not formally qualified at that stage. 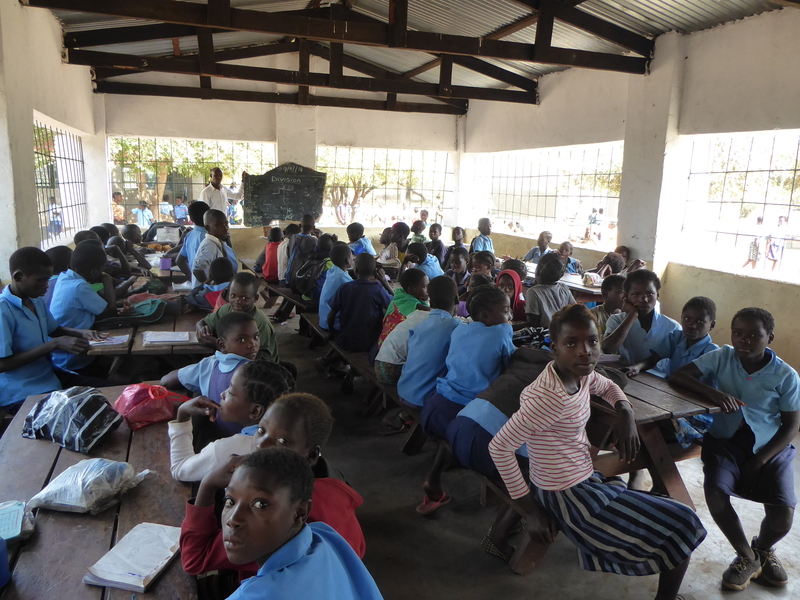 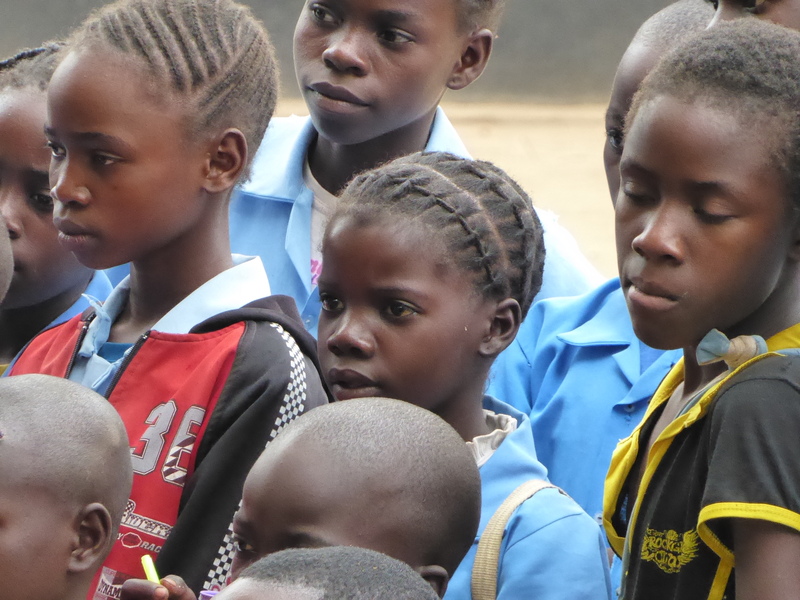 Very soon they outgrew their small ‘classroom’ as nearly 100 children would regularly attend these basic lessons! 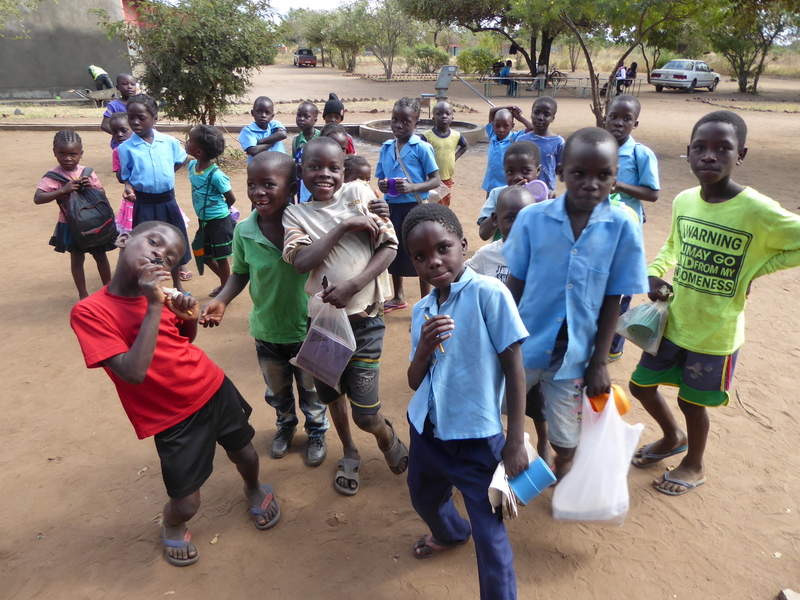 The children had no desks, chairs, pens or paper; they sat on bricks and took turns writing with chalk on a homemade blackboard. 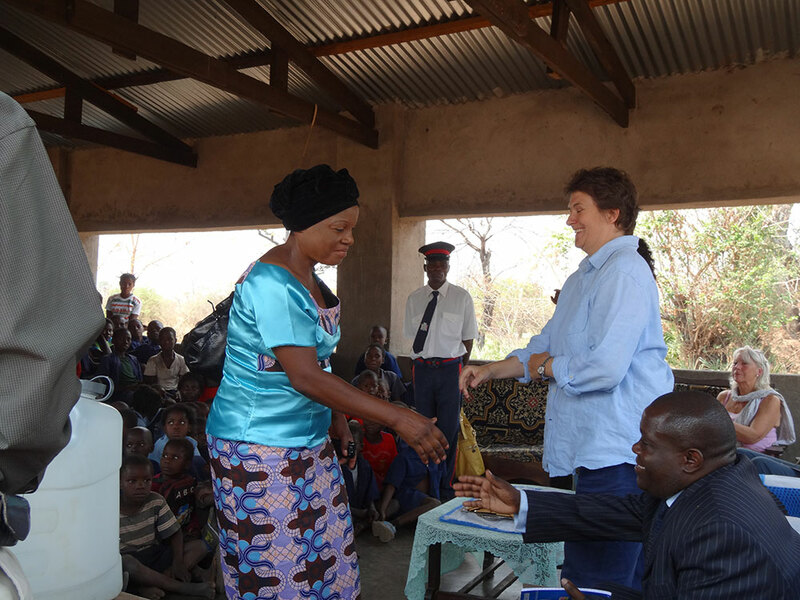 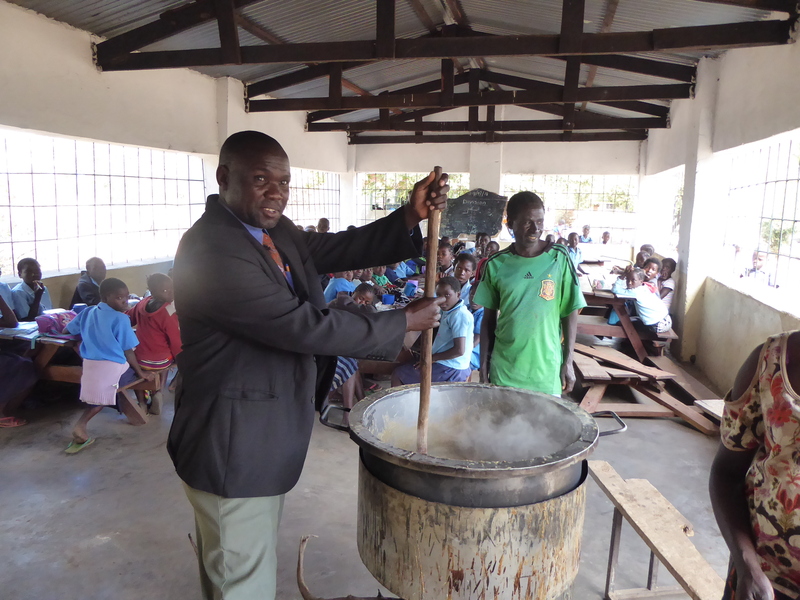 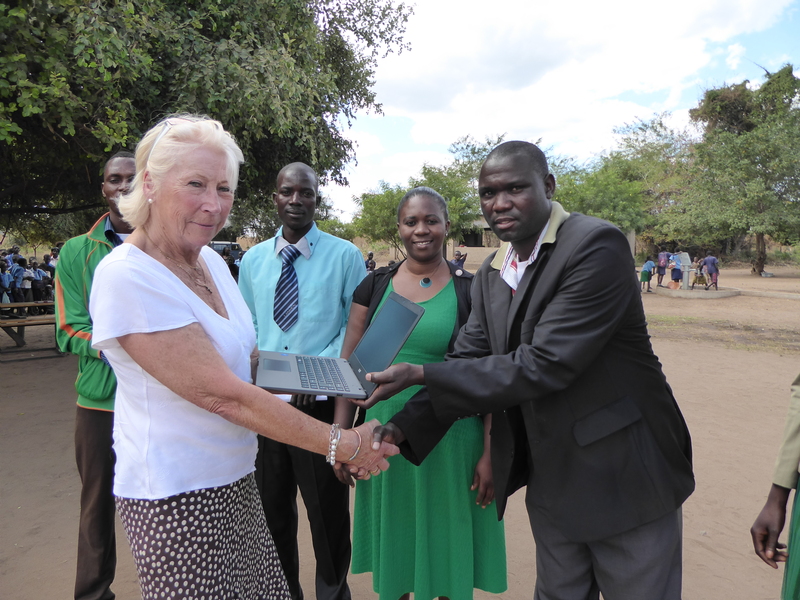 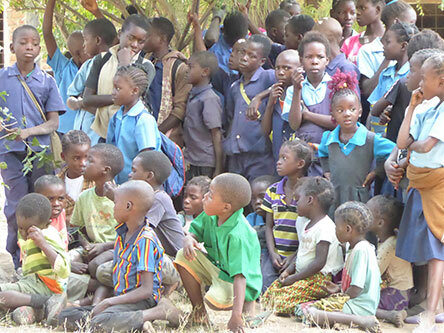 The community soon realised they needed help to make their dream of education for their children a reality and went to Tribal Textiles for assistance and the Malimba Community School Fund was created. 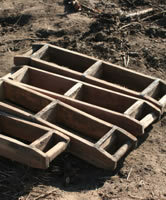 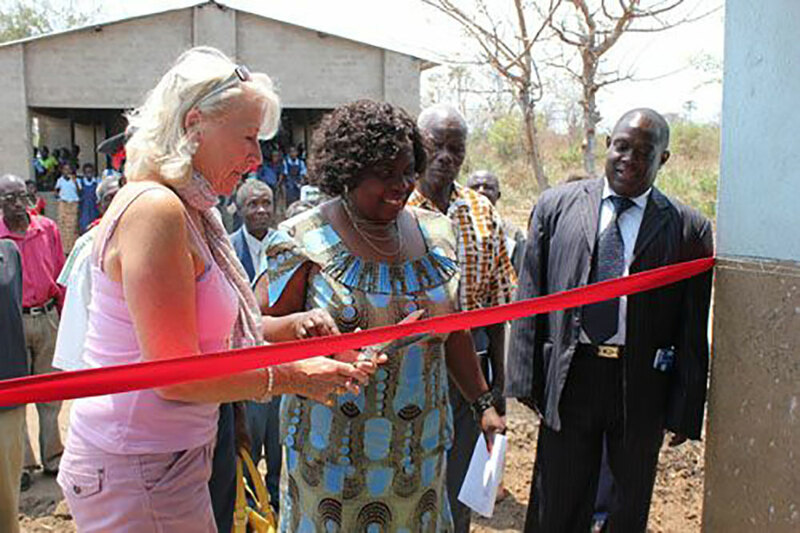 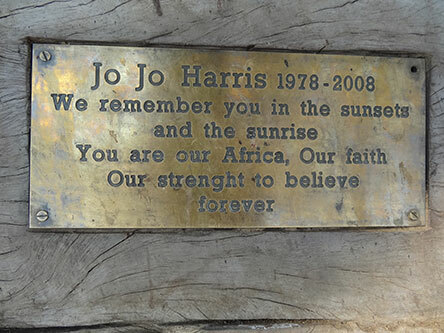 The community made over 20,000 mud bricks by hand, and with the limited funds available timber, basic roofing material and cement were purchased and transported to the village; a local builder hired and soon a large class-room was constructed, and desks and chairs for 45 pupils were purchased. 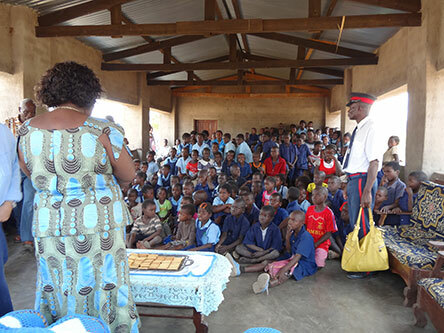 The school was again quickly oversubscribed and classes run throughout the day with grades 1-3 in the morning and 4-5 in the afternoon. 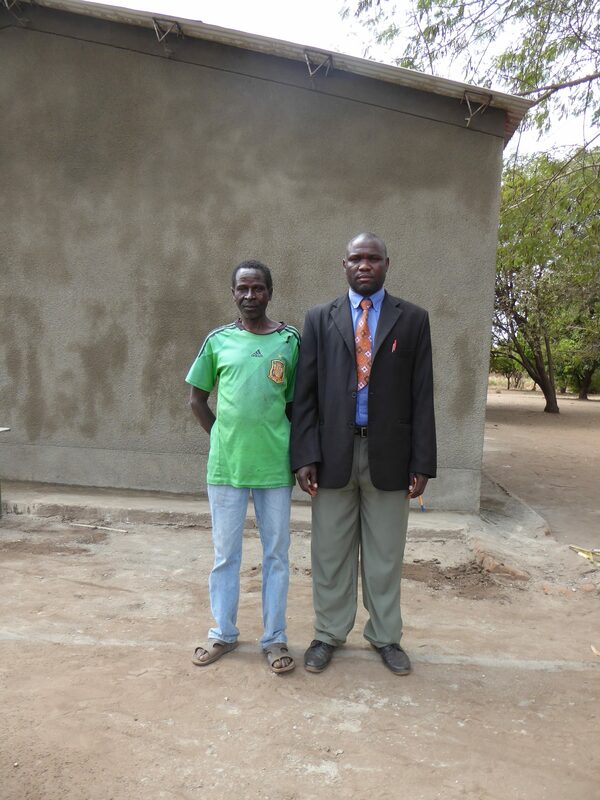 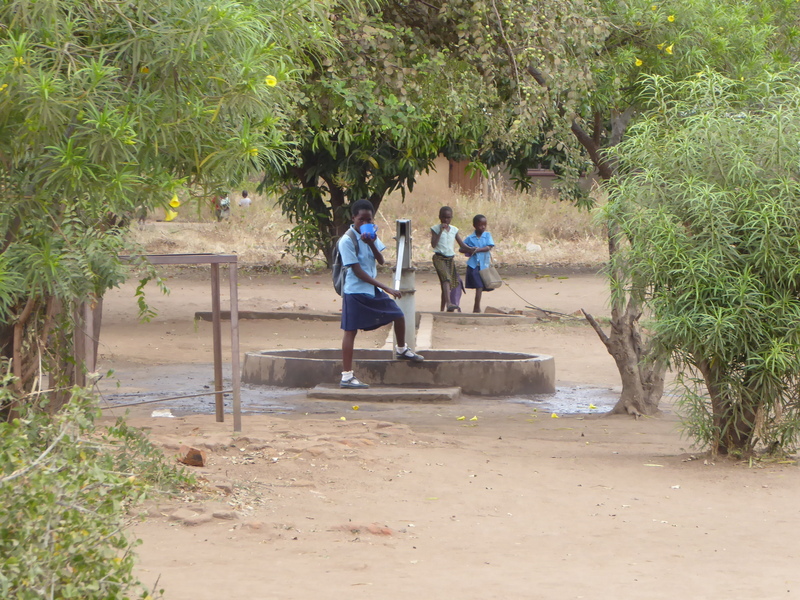 The next big project was to provide water for the school and neighbouring villages. 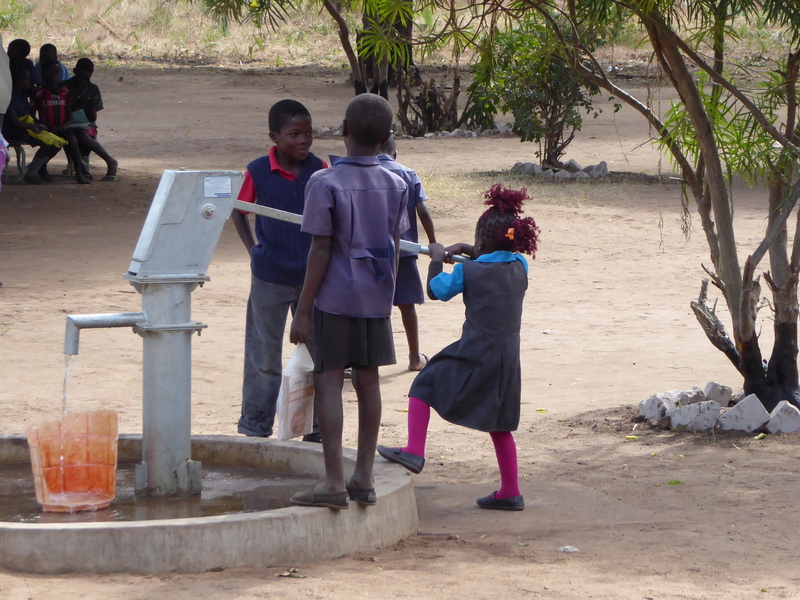 This was completed in 2004 and the water-well with hand-pump was generously donated and installed by Rural Water Supply Eastern Province -KFW/DWA Project. 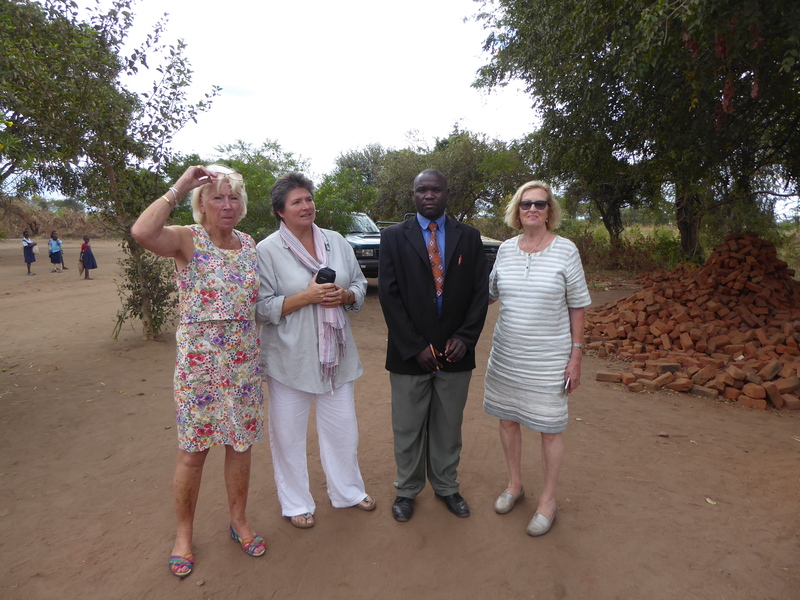 Without this vital input no further progress on the development of the school would have been possible. 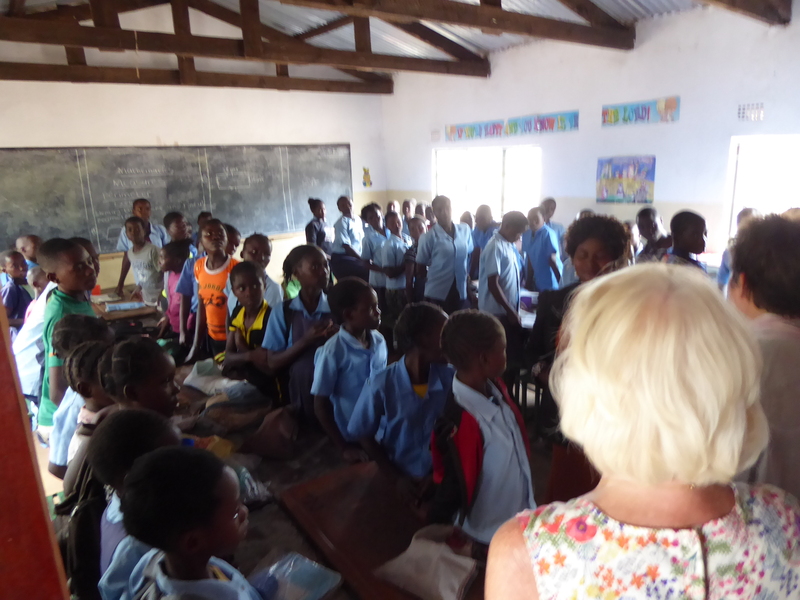 In 2004 the school had a roll call of about 250 children, it now has over 400 pupils attending the school in two sessions, morning and afternoon. 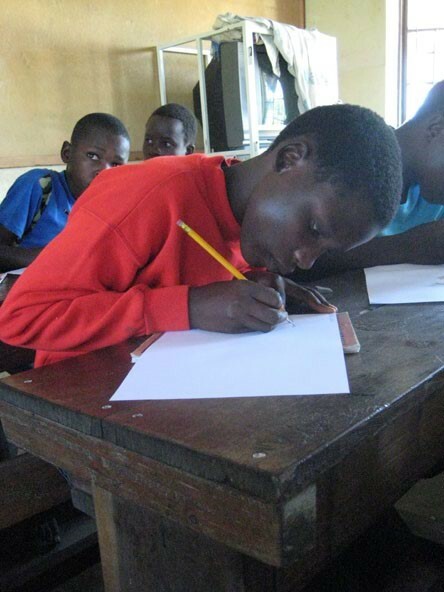 and source books, pens, paper … and everything that children in the developed world so take for granted! 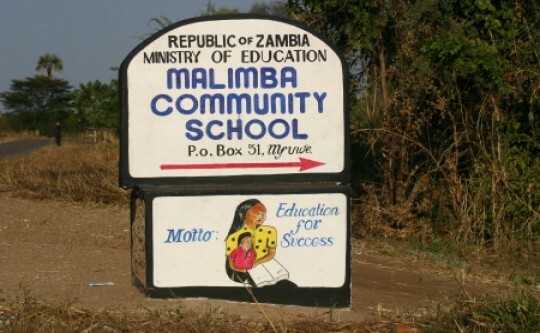 The Malimba Community School’s motto is “Education for Success” and they need your help to achieve this for the children. 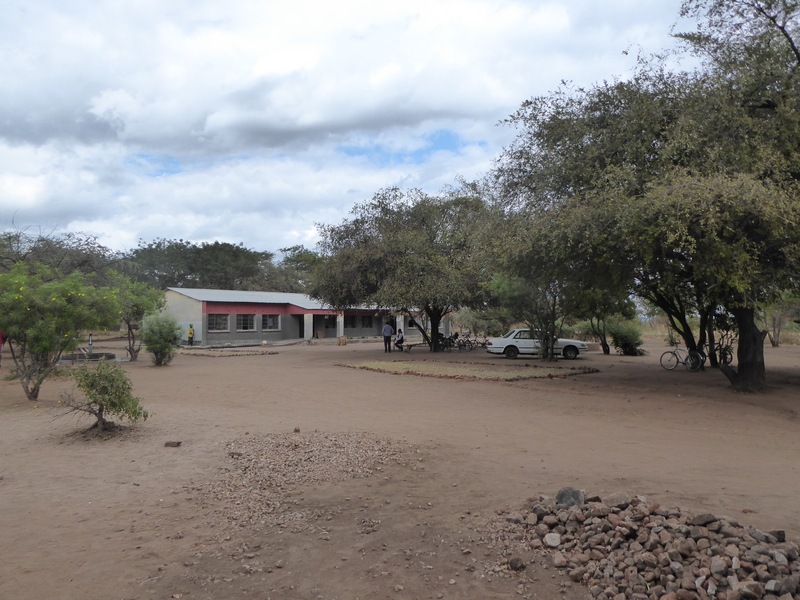 The school now has over 450 pupils (up from 250 in 2004) – all eager to learn and attending the school in two sessions, morning and afternoon in order to accommodate the numbers in the limited number of classrooms. 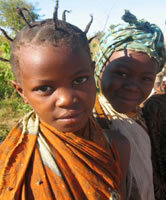 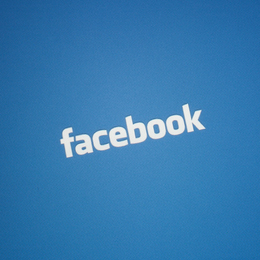 The children range in ages from as young as 5 up to 17 years of age. 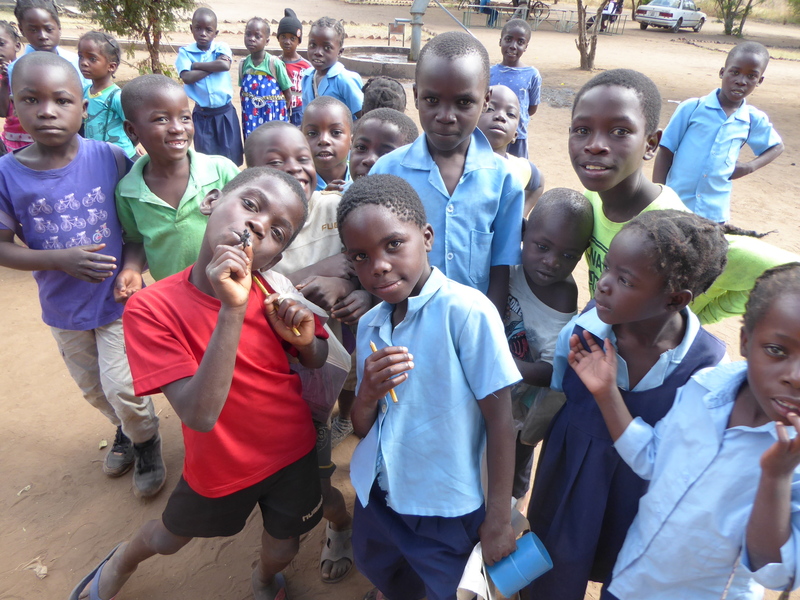 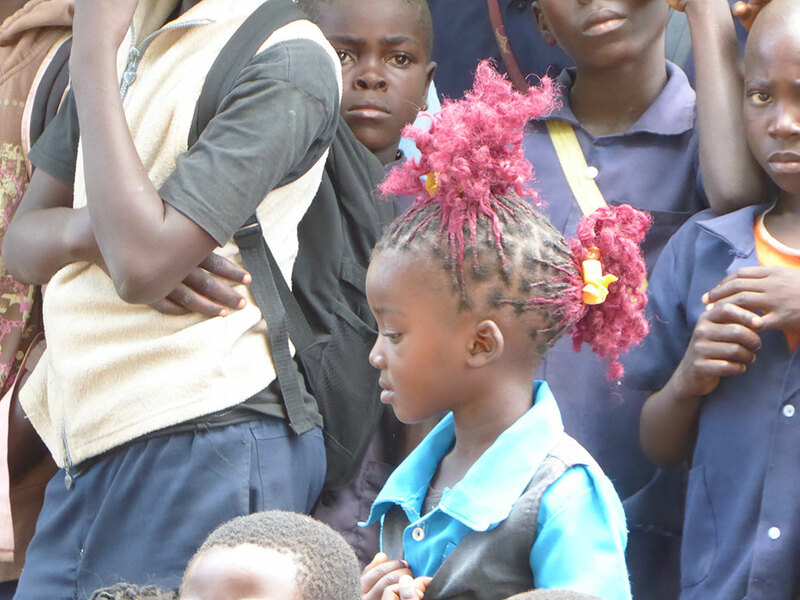 As many as 38% of these children are orphans and have no chance for a better future without the start in life that Malimba Community School can offer. 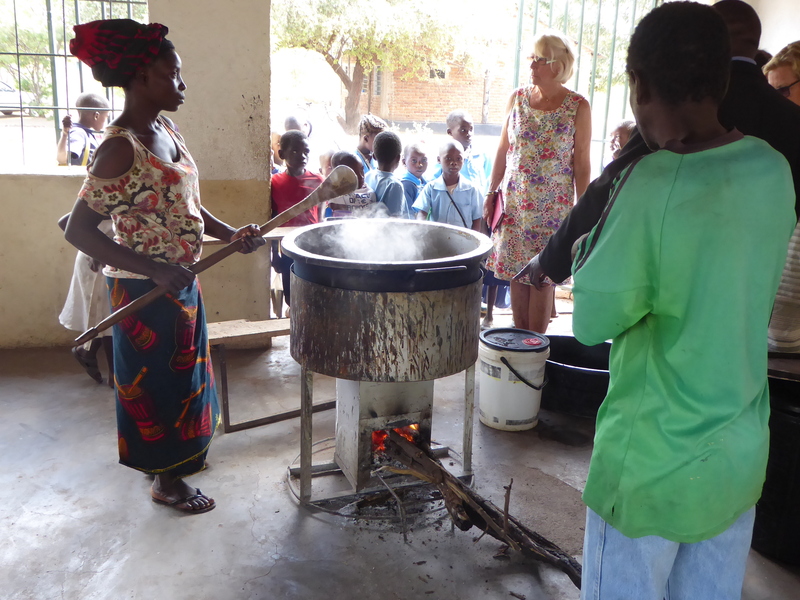 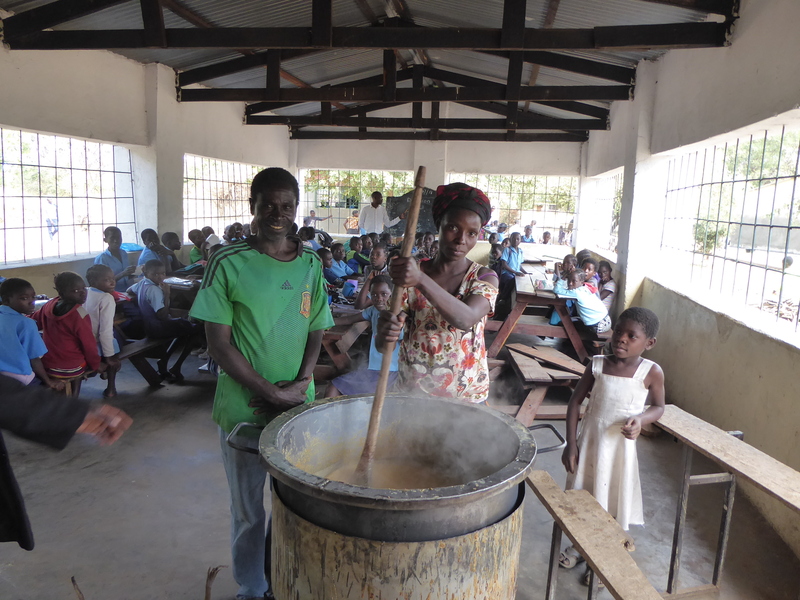 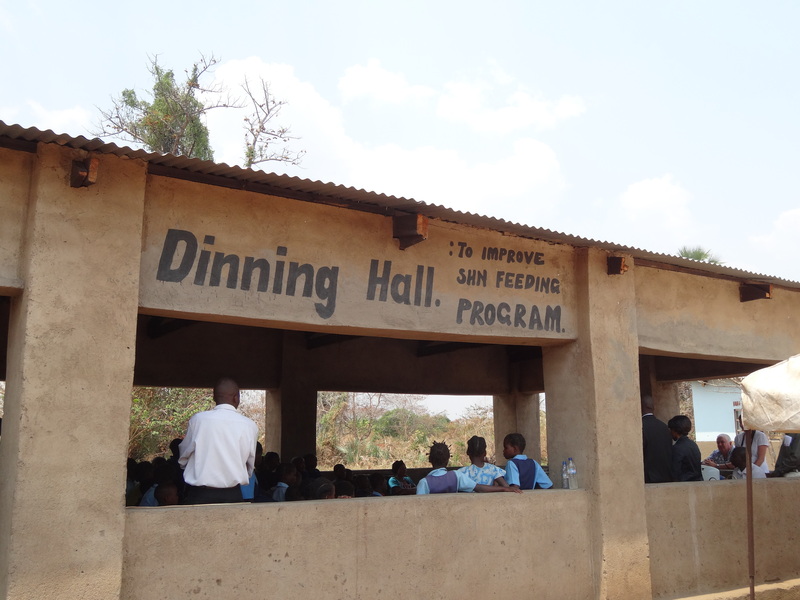 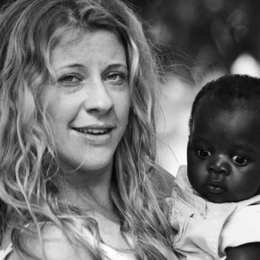 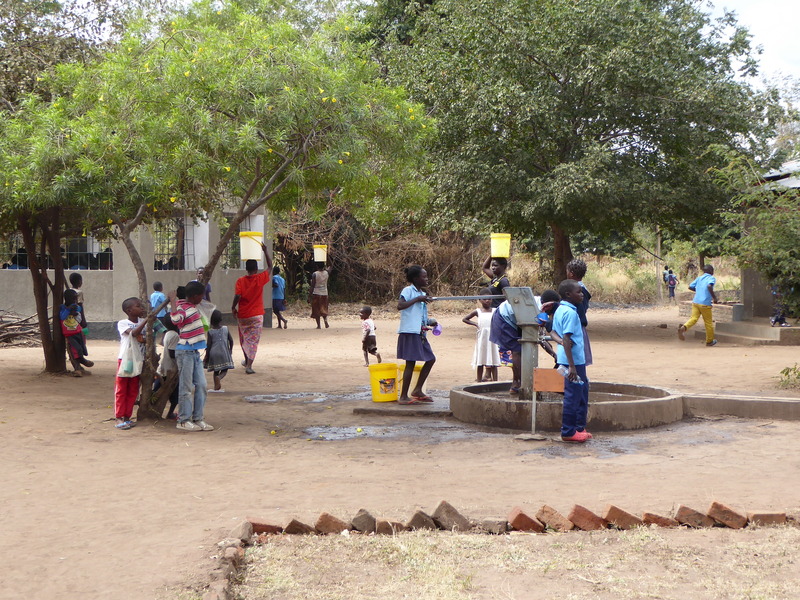 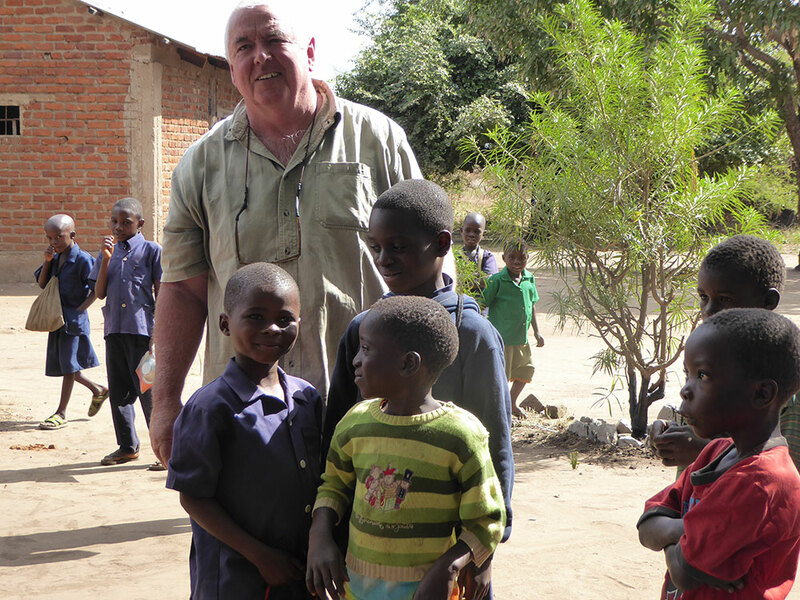 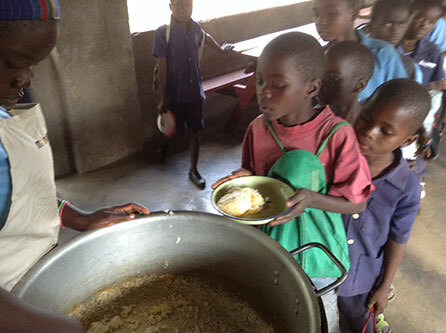 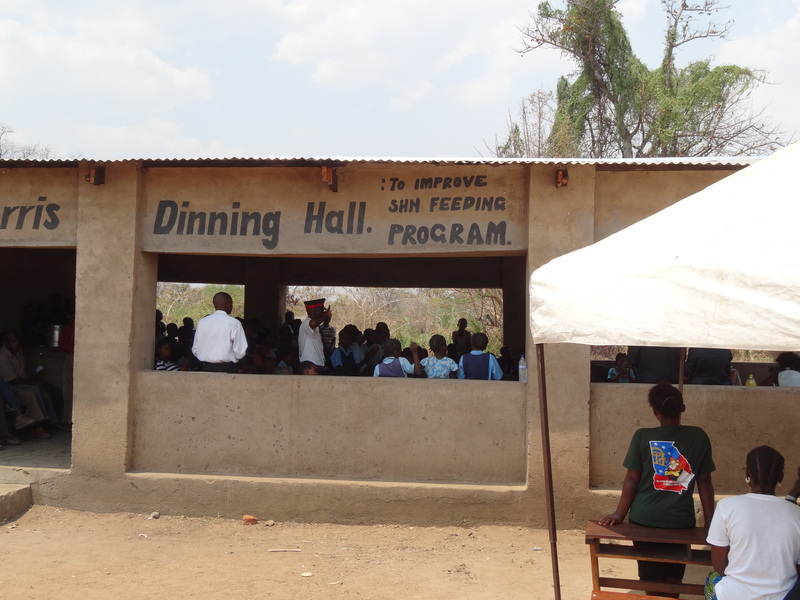 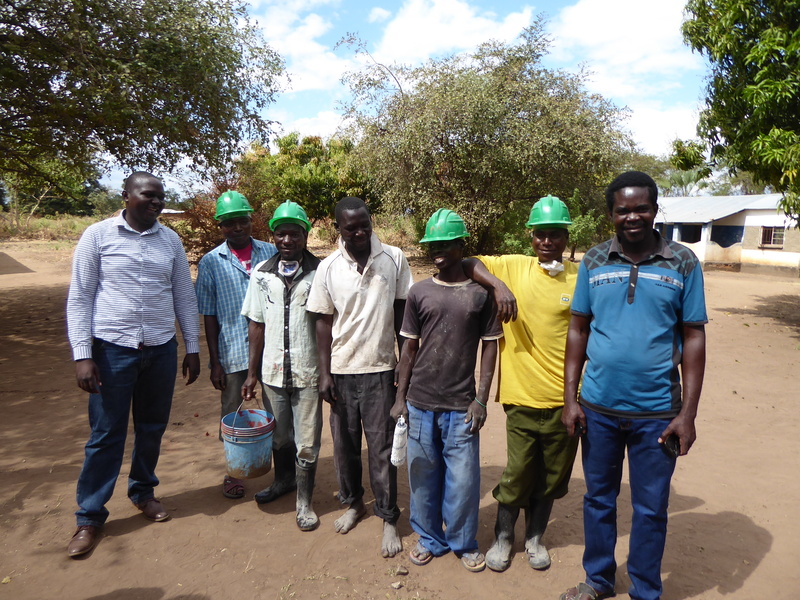 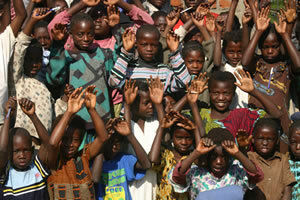 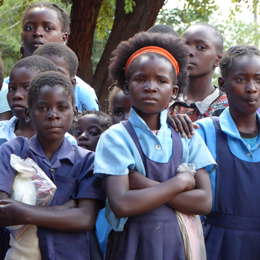 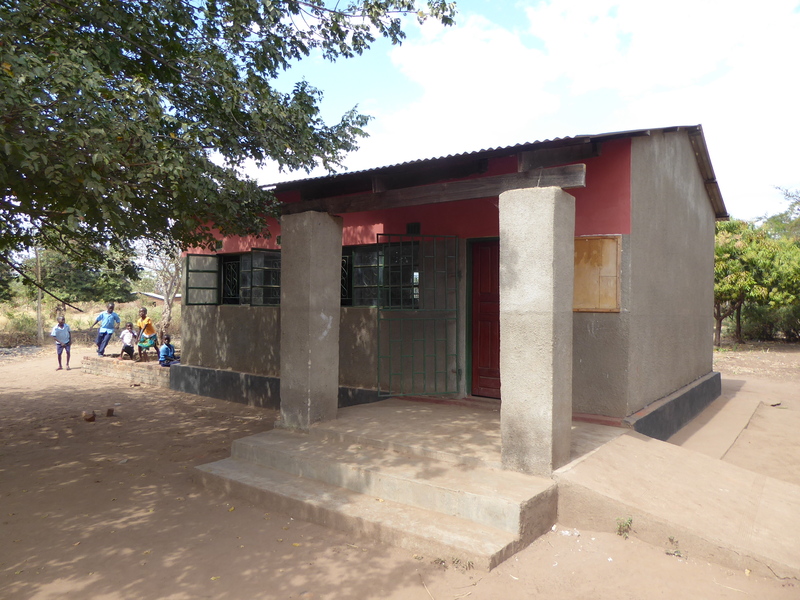 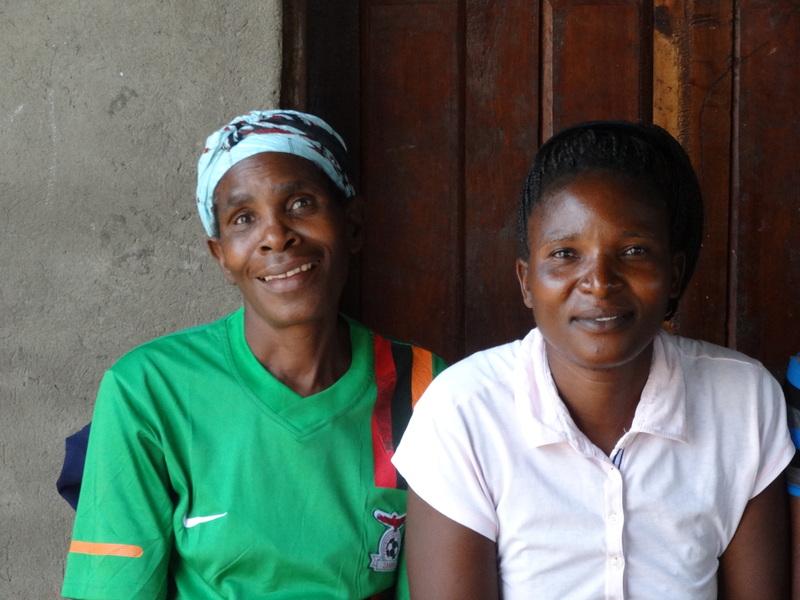 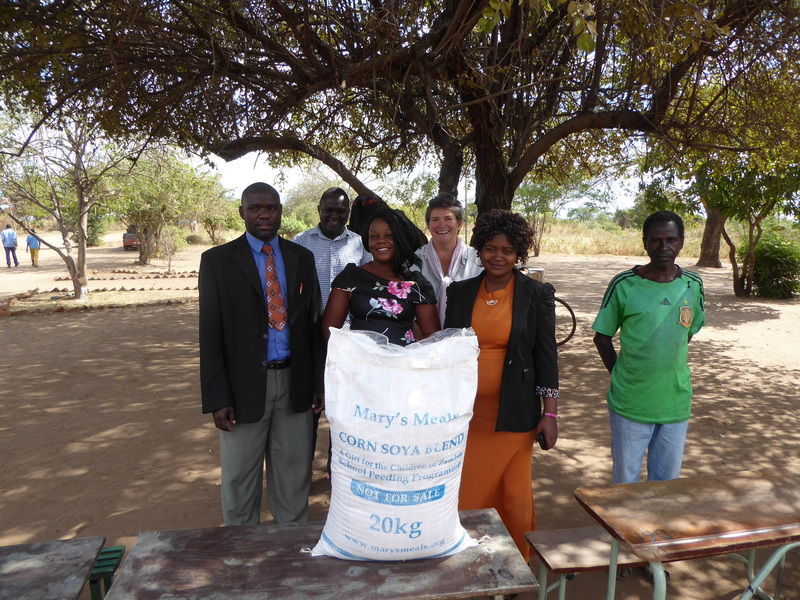 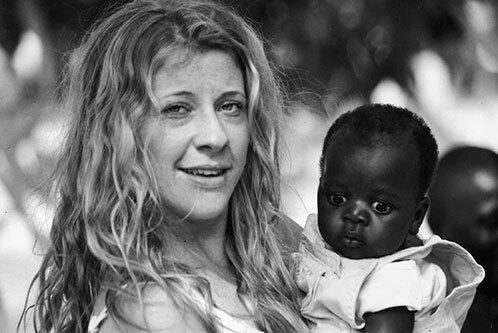 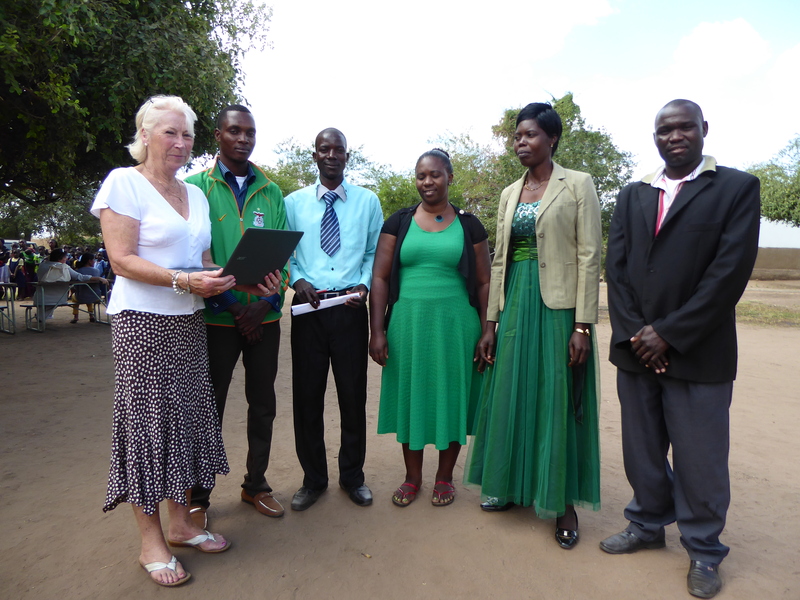 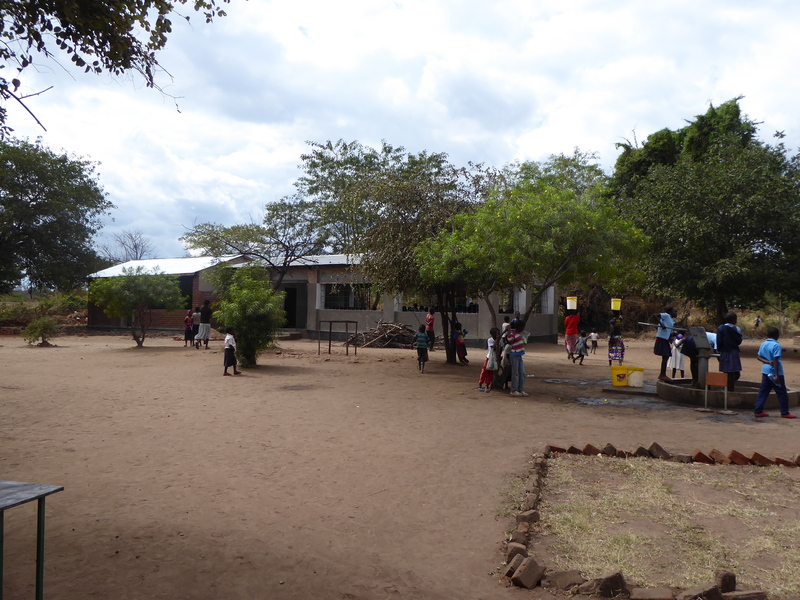 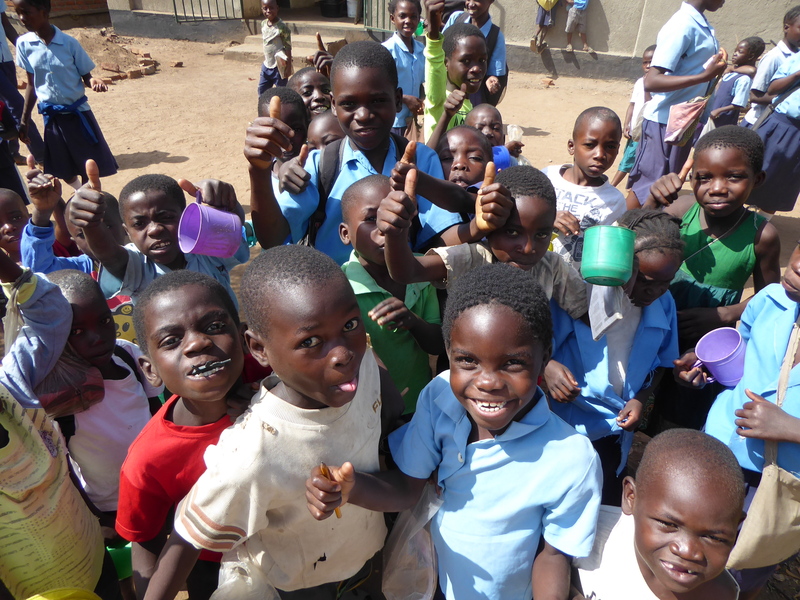 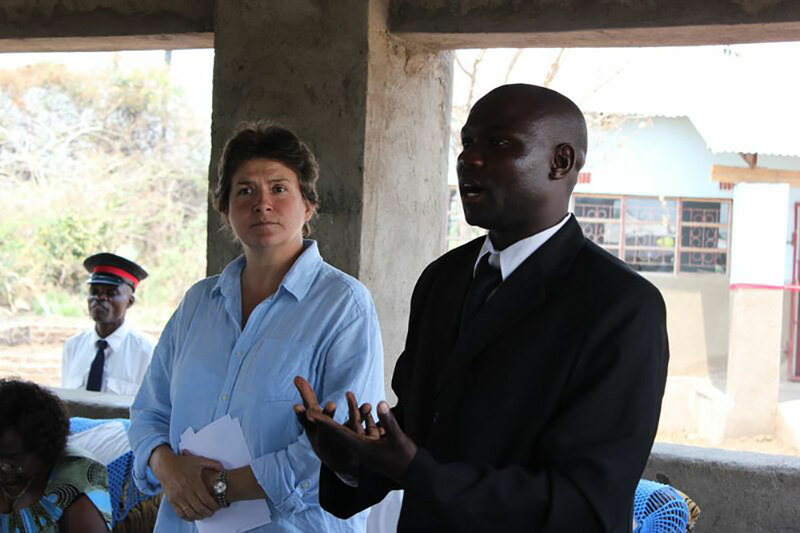 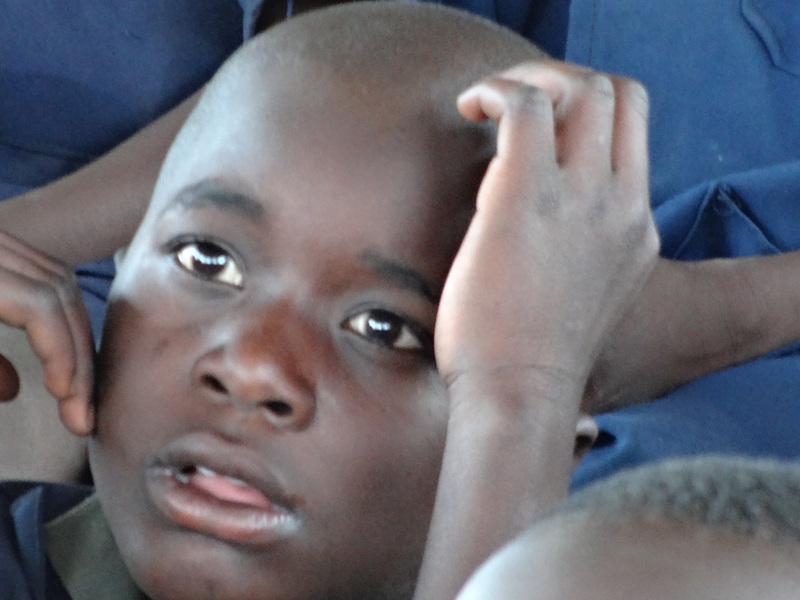 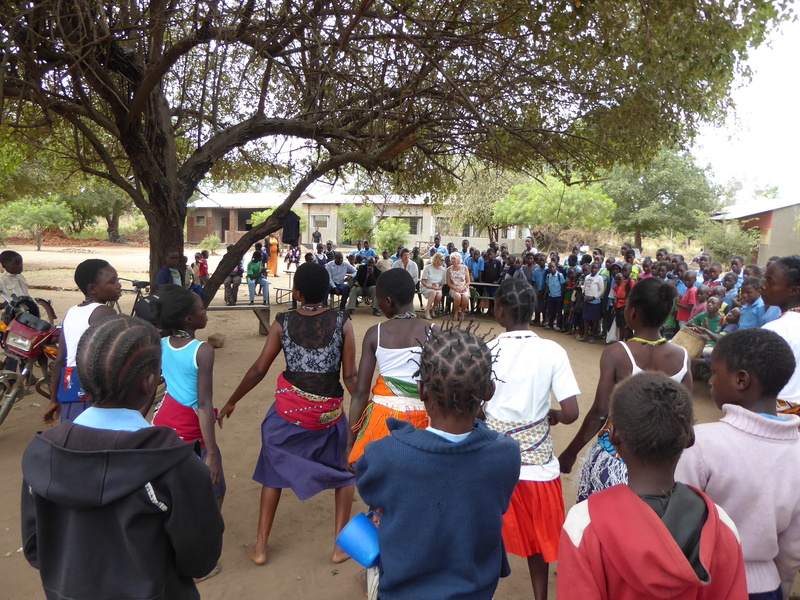 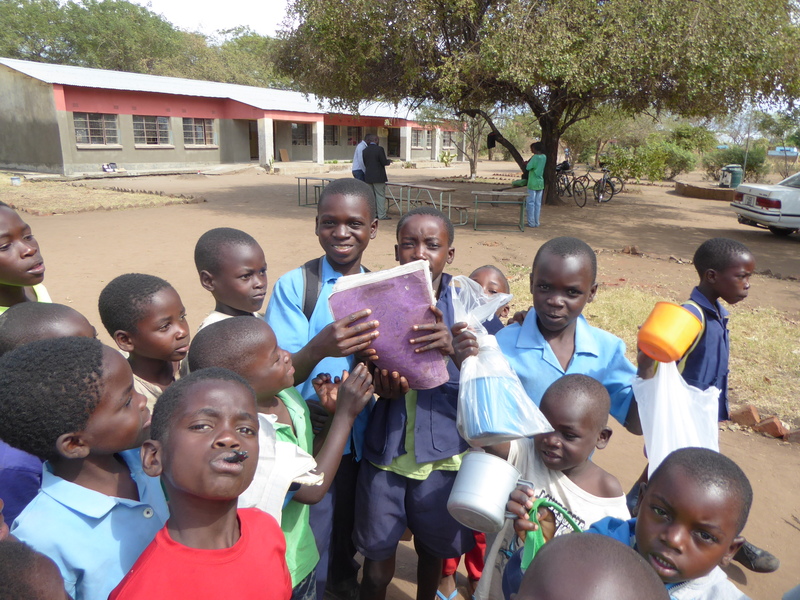 The Malimba school project is run by a small committee made up of local parents wanting the best for their children. 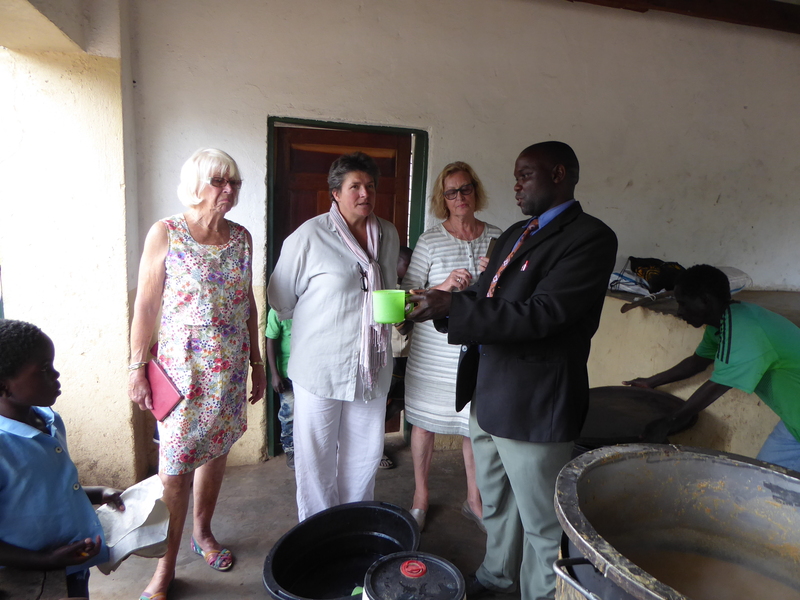 The fund has received donations in cash and kind from many generous patrons and the school would not be where it is today with out this support.